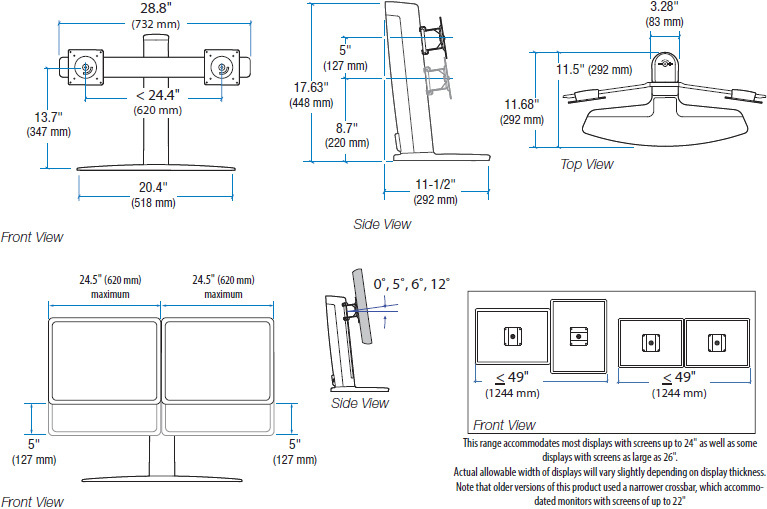 Ergotron 33-396-085 is an affordable, height-adjustable dual-monitor stand for maximum productivity and comfort. Save time by using multiple applications at once - eliminate toggling back and forth between documents and programs. Simultaneously lift LCD screens to proper height for unsurpassed ergonomic comfort.